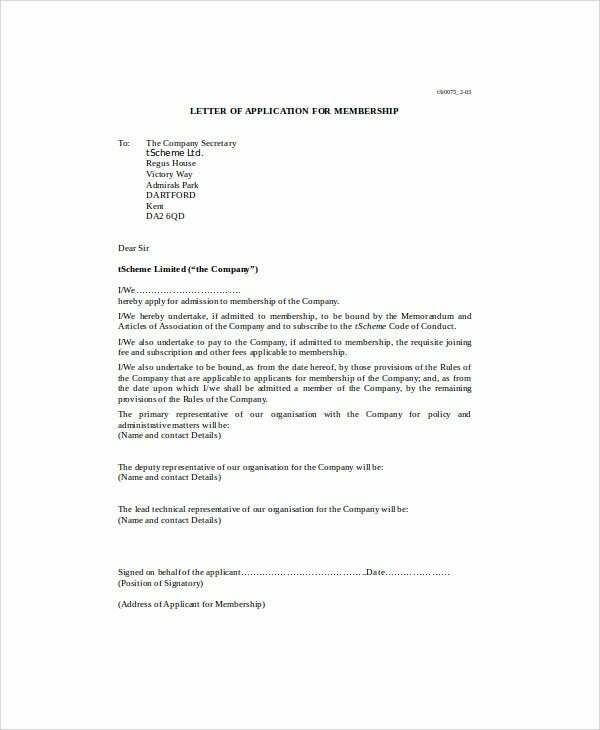 A membership application letter is used by an individual who would like to apply as a member of an organisation or a group. 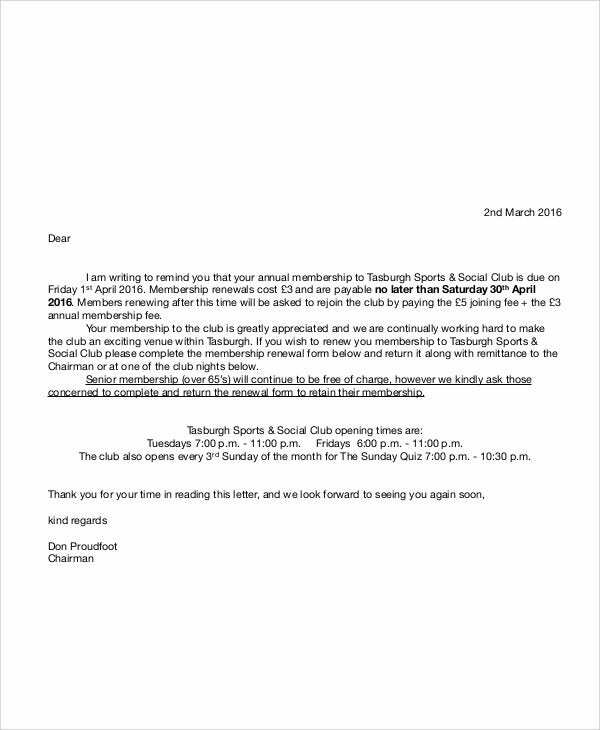 Once the membership application has been approved, the person is entitled to enjoy the perks and other privileges that are regularly reserved only for the members of a particular organisation, group, or club. 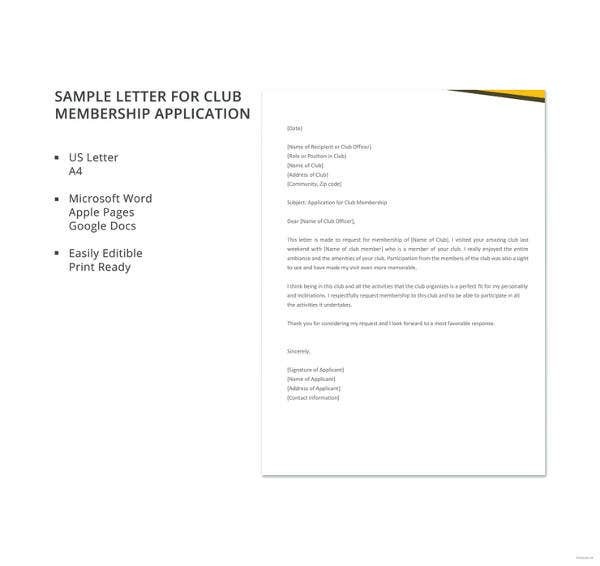 If you want to write a membership application letter, you can use the samples of membership application letter templates that you may download from this page as your references. 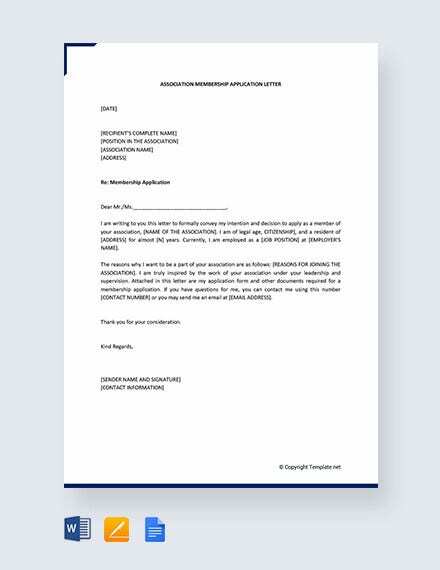 We have collected different kinds of Membership Application Letters that are used in membership application transactions and processes in various fields, businesses, and organizations. 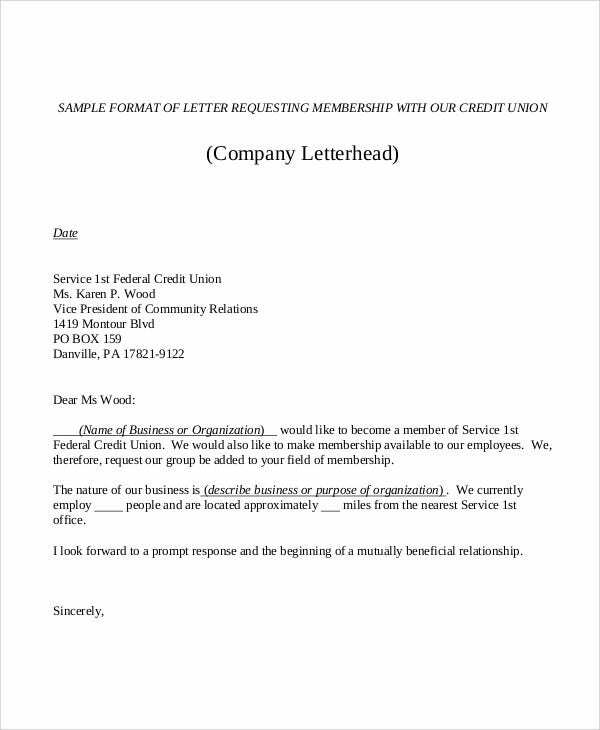 What Do You Write in a Membership Application Letter? 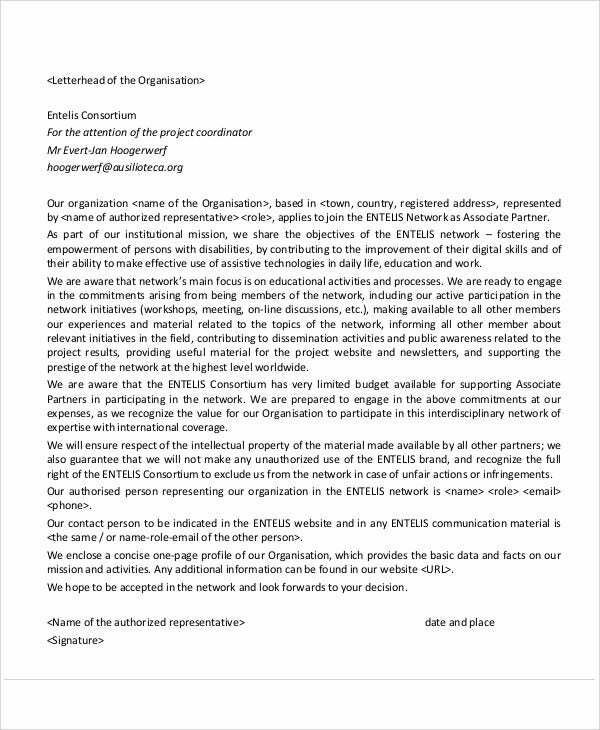 Why Do You Need to Write a Membership Application Letter? 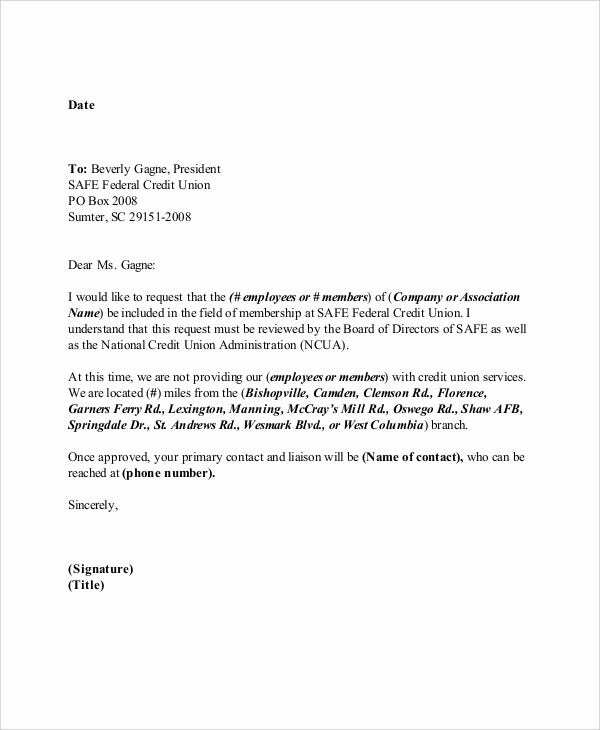 Some entities require membership application letters because of exclusivity. 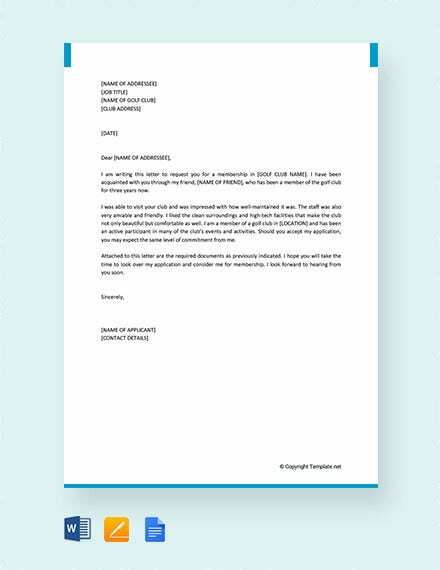 A membership application letter creates a professional initial impact. Membership application letters fully cover the purpose and reason on why an individual wants to be a member of an entity. 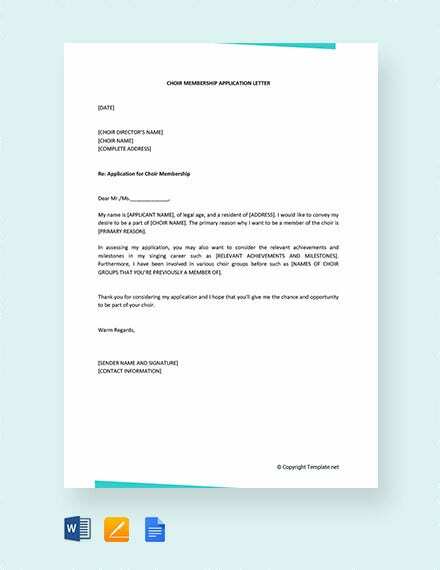 Membership application letters are physical documents that can serve as transaction proofs, which may be used for a variety of purposes be it for the applicant or the organisation. Aside from applying for one, memberships may also be given or offered by a business, an establishment, or an organisation to a person. 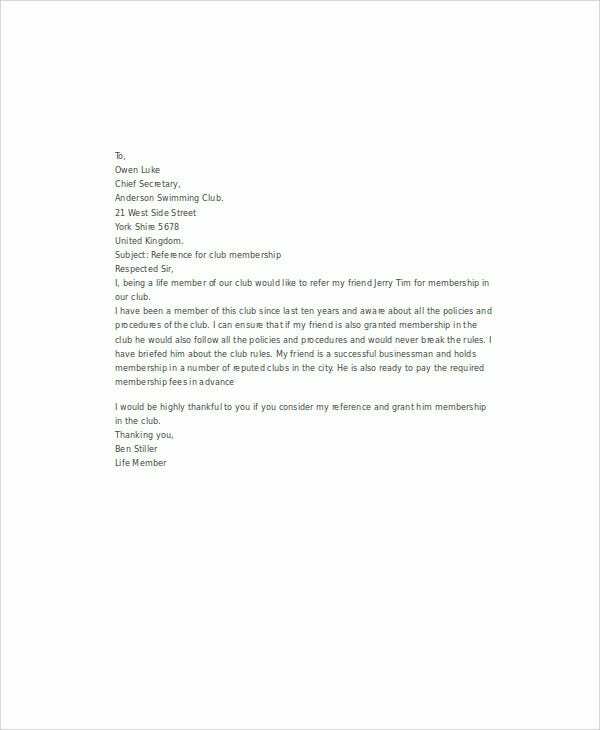 For samples of Membership Offer Letter Templates used for this transaction, kindly visit the link provided. 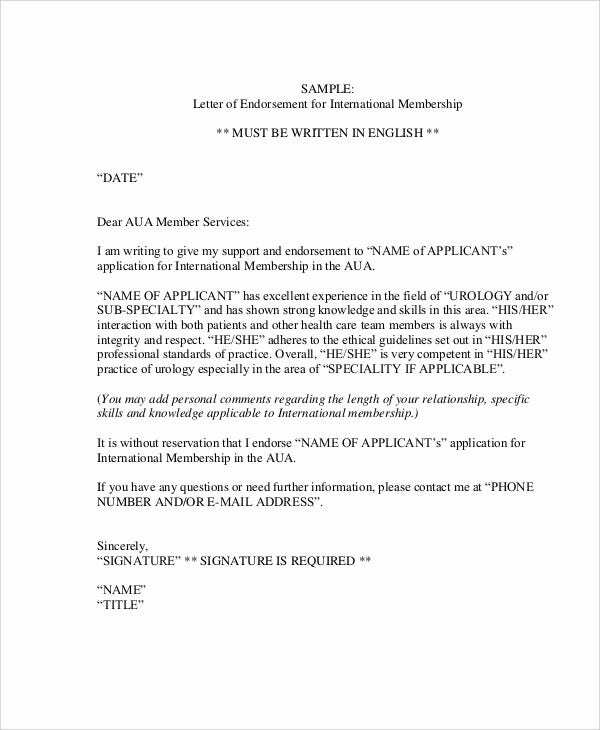 What Are the Membership Application Letters You Need to Write? 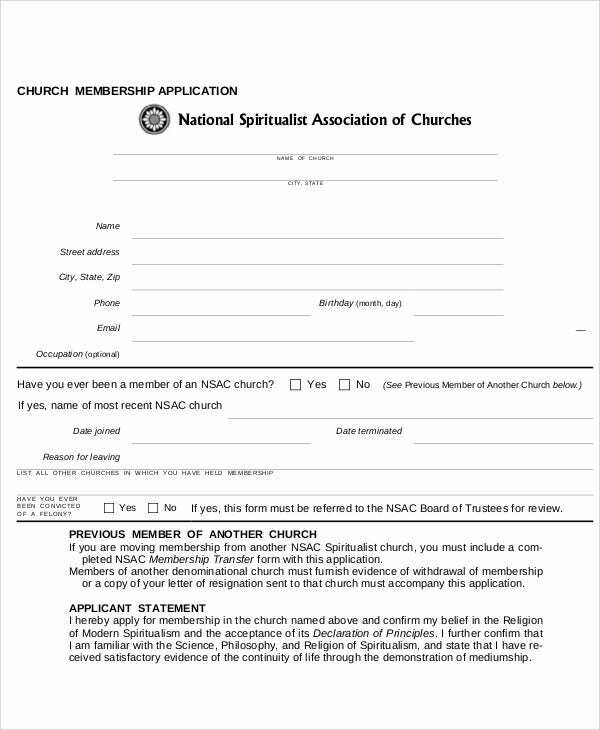 Church membership application letters are usually written by individuals who would like to be a part of a specific church or sector would want to formally transfer from one religion to another. 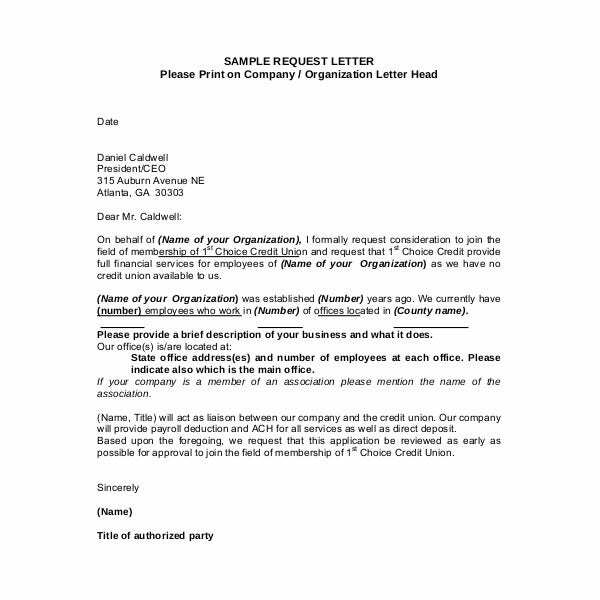 Membership request application letters are written by businesses that want to enrol their employees in a particular membership. Corporate memberships are offered by various entities to get more clients by providing discounts and special offers to members of a specific group. Membership renewal application letters are basically written to renew an existing membership so that the individual can continue to get the benefits that s/he has been getting. Membership renewal application letters are usually written a few days before the expiry of the membership. 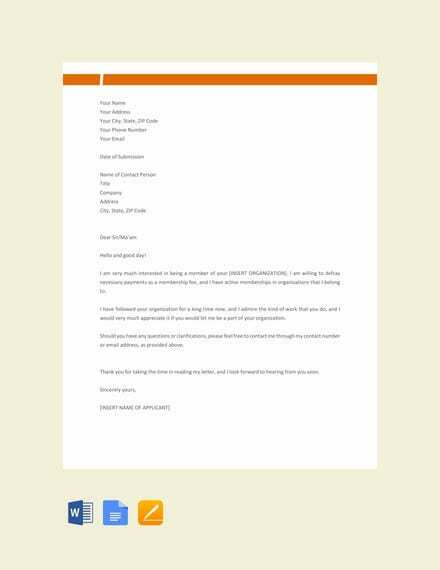 International membership application letters are created and passed by individuals who would like to be a part of an international organisation like Rotary International or Greenpeace. 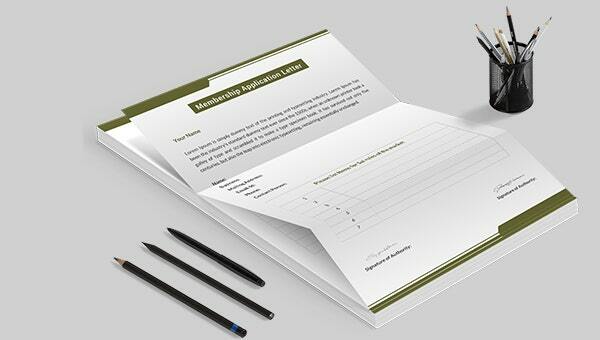 Other than our samples of membership application letter templates, you can also check out our samples of Volunteer Application Templates, which are also available for download.